You are invited to attend the 8th Annual HeartMath Institute Global Coherence Event Lifting Global Consciousness: Raising Our Vibration and Expanding Our Capacity to Love in the lovely Riviera Maya region of Mexico. This timely event will take place November 6-10, 2019 in a delightful environment that offers flora in abundance, beautiful beaches, elegant accommodations, amazing food, fun and adventure. Transitioning into the next vibration of love’s powerful transformational energy. Deeper and lasting heart connection and resonance with people. Heart-focused meditations to help raise personal and global consciousness. Advanced HeartMath techniques and hear about our lastest research. An up-lifting vacation with like-minded people from around the world. Tools to access the power and intelligence of the heart. How to rise above the stress. How to identify and change self-limiting emotional patterns. How increasing our love and care bridges the inner connection with our higher spiritual skills and potentials. The difference between heart felt energetic connection verses standard mind-based communications. How to navigate your path from an old world paradigm to new world. How heart-powered intention increases the focus and manifestation of our commitments. How being in heart vibration increases self-security, resilience and effective connection. Ways to bring our mind, emotions and heart feelings into balance and coherence before important choices and actions. How to rise above the stressors and mindsets that block access to your heart’s intuitive wisdom and guidance. An in-depth look at humanity’s collective purpose – raising the vibration of consciousness. All program hosts are members of the Global Coherence Steering Committee and co-authors of the book, Heart Intelligence: Connecting with the Intuitive Guidance of the Heart. They have appeared on numerous radio shows and teleseminars, and you’ve seen them in films such as I Am, The Living Matrix and The Solar Revolution. 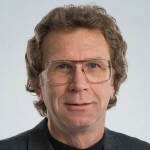 Rollin McCraty, Ph.D., research director and executive vice president of HeartMath Institute, project coordinator of GCI’s Global Coherence Monitoring System and author of The Science of the Heart. 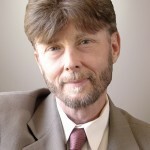 Howard Martin, executive vice president for strategic development at HeartMath Inc. and co-author of The HeartMath Solution. 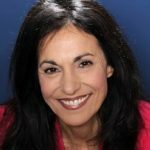 Deborah Rozman, Ph.D., president and co-CEO of HeartMath Inc. and co-author of the Transforming Book Series. Learn new HeartMath techniques and experience them. Participate in interactive exercises for expanding your capacity to love. Hear HeartMath’s latest research findings and ongoing research. Enjoy the hotel beach club or explore the region during the scheduled free time. Experience a personal, in-depth Q&A with each of the presenters, if you choose. 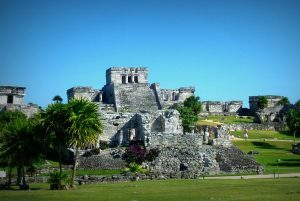 Choose from a range of tours or visit sacred Mayan ruins. 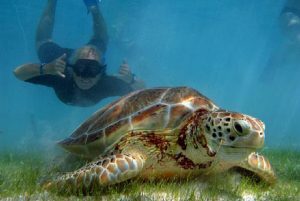 Snorkeling with sea turtles and jungle excursions are also available. Share stories and insights and participate in interactive dialogue. Participate in heart-focused mediations to help raise personal, social and global coherence. Enjoy a sunset walk on the beach with the presenters. 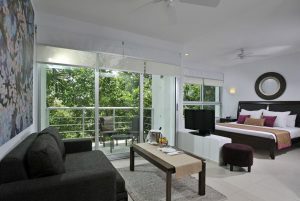 You’ll be staying at the Luxury Bahia Principe Sian Ka’an, a quiet, all-adult hotel, just across the street from the conference center. 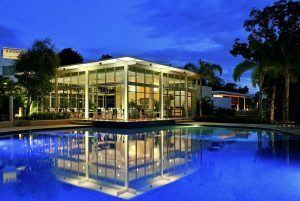 Your hotel room comes with an all-inclusive package, which means your meals and drinks will be free at any of the 12 restaurants in the Grand Bahia complex. The amount you pay for this event includes the cost of the program and transportation to and from the hotel and Cancun International Airport. (You will need to make your own hotel and flight reservations.) We have reserved a block of all-inclusive rooms at special discounted rates as low as $114.00 per night for double occupancy and $169.00 for private/single occupancy. You will receive information on how to reserve your hotel room immediately upon registering for the program. The beautiful Mexican Riviera on the Yucatan Peninsula, near Tulum, will be the setting for what we hope you find to be a fun-filled, heart-inspiring event, which we will discount $500 off the regular price of $1,495 when you make your reservation on or before June 15, 2019. The cost of the Lifting Global Consciousness: Raising Our Vibration and Expanding Our Capacity to Love includes the cost of the program and transportation to and from the airport. Early-Early Bird Registration: March 15 – June 15, 2019. Cost: $995 Save $500. Early-Early Bird Registration: June 15 – July 31 2019. Cost: $1,195 Save $300. Early Registration: August 1 – Sept. 30, 2019. Cost: $1,295 Save $200. Final Registration: October 1-30, 2109. Cost: $1,495. Space will be limited for this event, so early registration is encouraged, and don’t forget the $500 Early-Early Bird Special discount when registering by June 15. We’ve scheduled an extra day following the regular four-day program for all of our HeartMath Certified Trainers, Coach/Mentors, HeartMath Intervention Practitioners and International Alliance Partners. The HeartMath Certified Professional Day will take place Monday, Nov. 11th from 9 a.m. to 4:00 p.m. The Professional Day is a gift, so there is no extra charge for the training. For more information about this event, call Del Walker at (831) 338 8502 or Toll Free at (800) 711 6221, or e-mail him at delwalker@heartmath.org.